MTi Polyexe Corporation forges innovation in response to customer needs for silicone release coatings, base films, and specialty engineered films for a wide range of industries. Our patent-holding technical team and award-winning company apply expertise and technology to develop new silicone release chemistries and products made from co extruded multilayer films. These include proprietary, experimental, and exclusive applications. 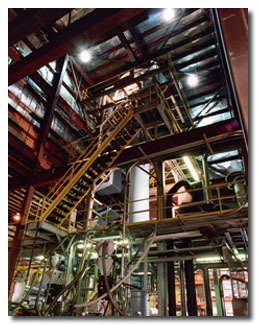 For direct coated papers like SCK and CCK, or polycoated paper, PET, TPO, polyolefin, and non woven substrates, MTi is a technology leader in the release liner market for building & construction, industrial & specialty tapes, health care, and proprietary applications. Our ADDEX Px2 blown film line with in line annealing can blend a wide range of ingredients to produce the perfect filmic substrate for silicone release coatings or breakthrough products like our high friction anti skid films for building and construction. MTi Polyexe is the only North American owned and operated fully-integrated film release liner manufacturer. Organized for flexible and inventive response to customer needs, we are ISO 9001:2008 certified and compete in global markets from 50 Pine Road in Brentwood, New Hampshire, U.S.A.
Find what you need here at mtipolyexe.com, contact our team for your product requirements, or use our custom projects page to send a product development request. MTI & Polyexe are manufacturers of multi-layer, colored, coextruded films up to 90” wide. Capabilities include: silicone coating, embossing & specialty coatings. Applications: industrial tapes, building & construction, graphics, electronics, label. In-line annealing system on blown film extruder is unique; creates low caliper variation film with high dimensional stability. Specialty expertise includes manufacture of tough, anti-skid / friction films with high UV resistance.